2. Cut 1.5m lengths of purple streamers - 8 for each octopus. 5. 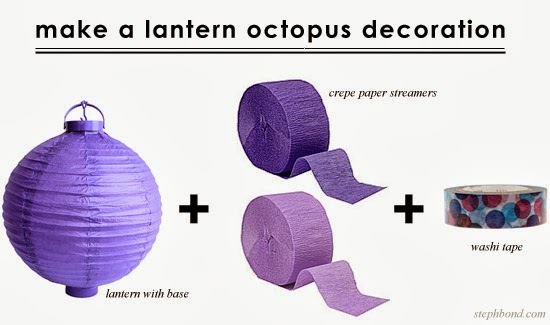 Carefully pick up the washi tape at each end with the streamer legs attached, and secure around the base of the lantern. 6. Draw eye and mouth shapes on white cardstock. Fill in with marker or paint. 7. 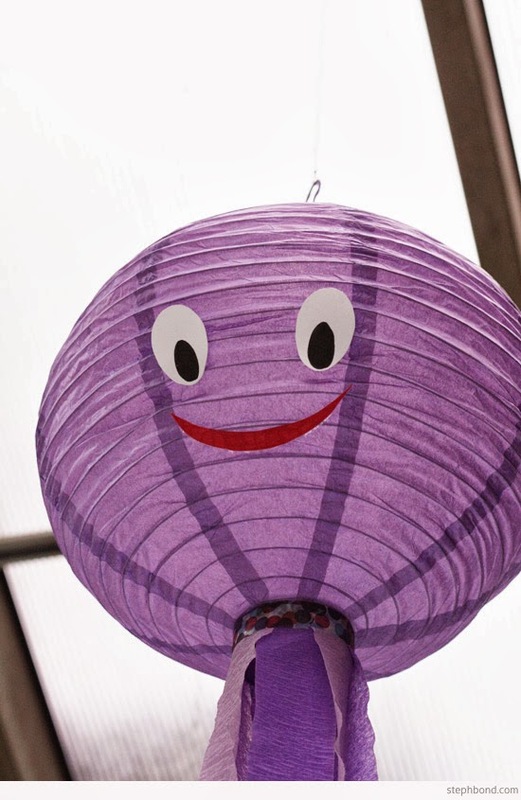 Cut the eye and mouth shpaes out and attach to the lantern with double-sided sticky tape (or hot glue for a more permanent fixture). 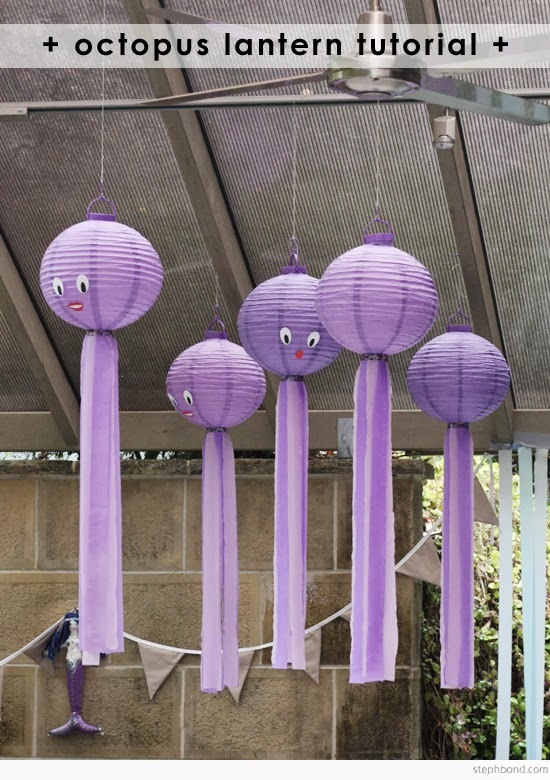 If you can't find a lantern with a round base, you can also attach the streamers to a wire base. Cut 4 x 3m streamers and thread over the wire. Secure with a staple or two. 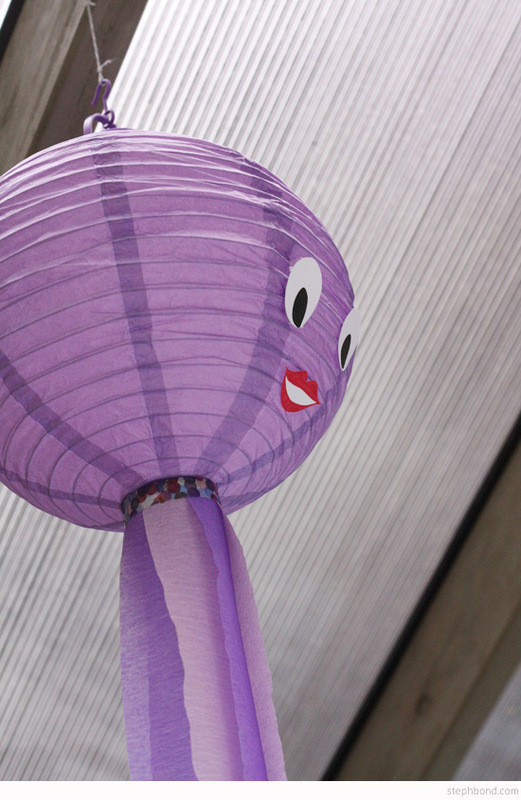 This ombre purple lantern would make an amazing octopus! 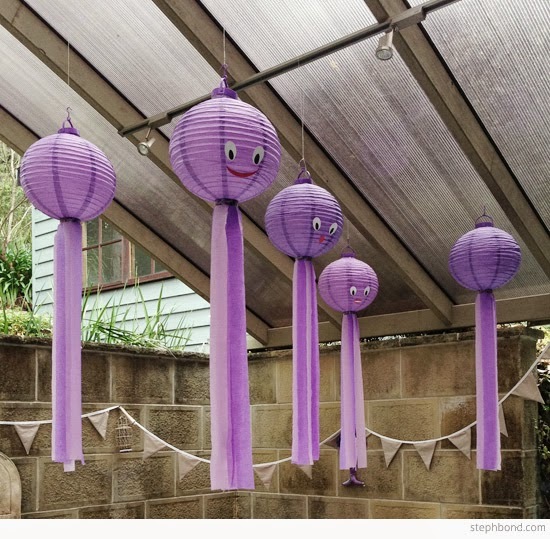 I also love this purple chevron lantern or this purple lace lantern for a sweet touch.